This suit has been designed especially against punch weapons. It is particularly effective against hard attacks of special arm- and leg techniques. 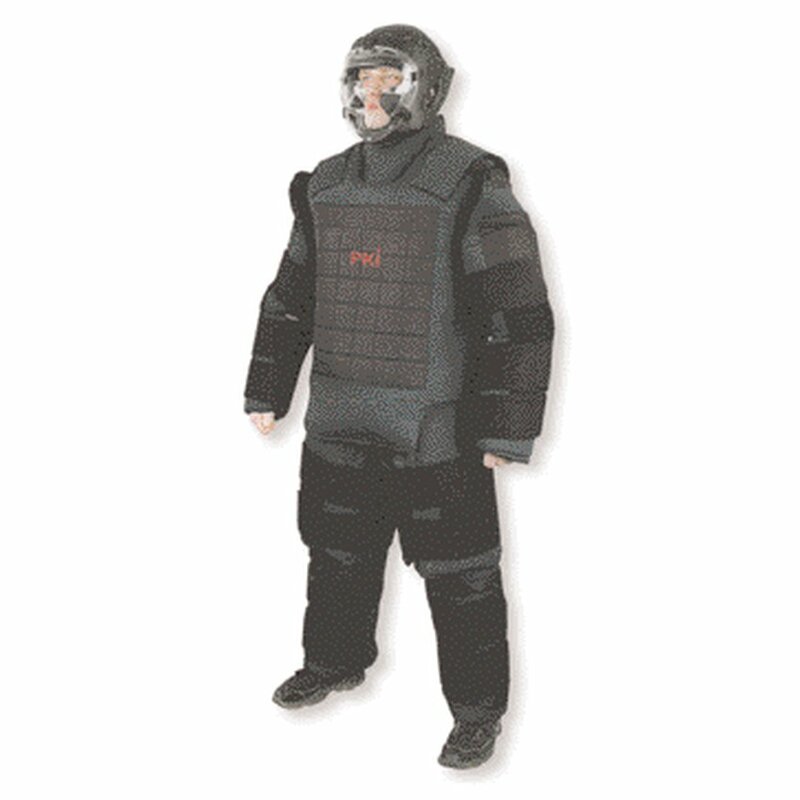 Due to its especially comfortable design, this fight suit won’t constrain the fighter’s agility in the case of an attack or defense situation. Material: upper shell cotton mixture 300 g/m2, in addition firmly tufted with Cordura at chest and back, inner cloth humidity adjusting, stuffing by punch-absorbing fabrics. At chest, back, abdomen, upper and lower arm, tights, shin and calf-bone additional protectors are available made of punch resistant plastics.